103 years ago today marks the last time the Chicago Cubs won the World Series. Try as they might, they have not been able to get to the top in over a century. Bad luck, bad players, and more recently bad contracts have been among the myriad reasons why this franchise has been unable to capture it all. So what to think of the recent acquisition of Boston Red Sox GM Theo Epstein? The media-appointed boy wonder GM is the one who put together the hallowed 2004 squad that stunned the Yankees in seven games to win the Pennant and ended the so-called “Curse of the Bambino.” He shook the team up again in 2007 (Julio Lugo! ), and won their second title in four years. Now, keep in mind that there is no vacancy for the Cubs manager, and that Joe Girardi is still gainfully employed for the Yankees. Joe Girardi’s been under increasing pressure here in New York. He seems to be struggling with the finer points of managing in the post season. Radio and newspaper pundits questioned whether his job was truly safe this off-season. While he has a world title to his credit, he was out managed by Jim Leyland in the ALDS, and his line up couldn’t solve Justin Verlander. To his credit, Girardi could strike first. Girardi has always maintained he would one day like to manage for the Cubs. 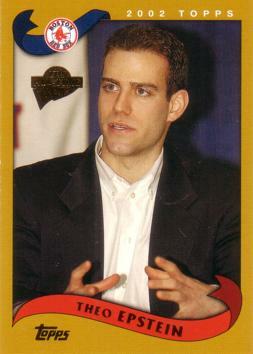 With Epstein’s departure from Boston, it’s not outrageous to think he could lure Girardi away. Now comes the biggest piece of the potential puzzle; can they sign Albert Pujols. Pujols has already become one of the greatest players to ever play the game. At 31 years old, he could potentially play for another 12 years. He was unable to reach an extension deal with the St. Louis Cardinals before the beginning of the season, and had already declared he would test the free agent market if that was to happen. Plainly put, he wants to be the highest paid player in the game. Currently, that would put him in the $300,000,000 million dollar ranger, possibly over 10 years. If its money he’s truly after, then Epstein will drive an eighteen wheeler full of money up to Albert’s front door. Cubs fans will have sky-high expectations no matter what. Getting Theo was a great move, but his biggest challenge will be finding the right guy to lead on and off the field. It’s either that, or wonder what to write about next year for 104 years. Cubs job may be best in baseball. Low expectations, consistently winnable division, high payroll, and you’re a god if you win. Granted, those contracts are awful. Being from Chicago, I know all about the Cubs.